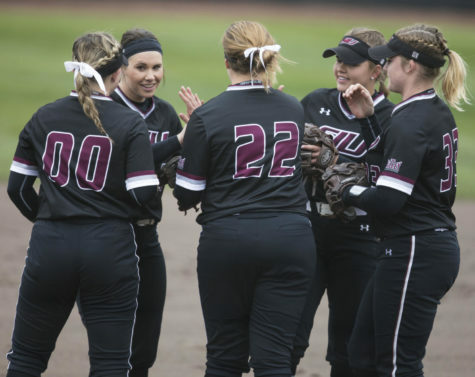 The Saluki softball offense picked up where it left off Saturday. 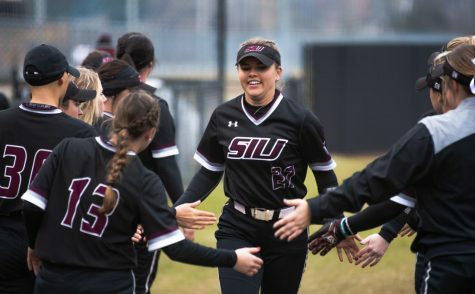 SIU won a Missouri Valley Conference series on the road for the second time this season — this one in a sweep after defeating Bradley in Peoria, 6-3. 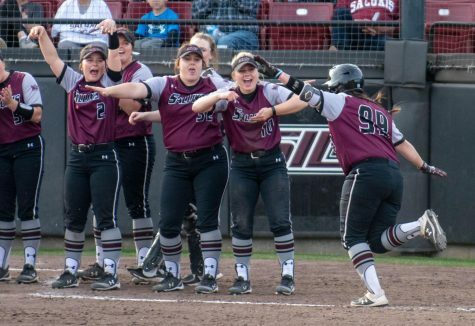 The Dawgs registered a season-high 13 hits Sunday, picking up contributions throughout the lineup. 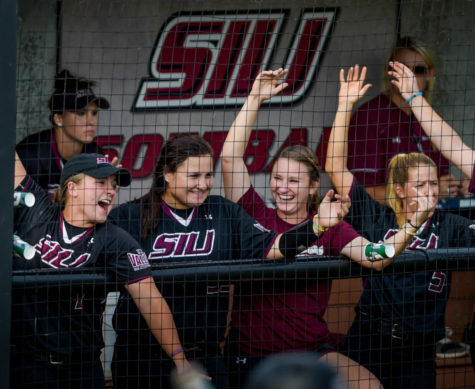 Bradley (14-25, 8-10 MVC) used four different pitchers in the game and SIU (28-16, 11-8 MVC) had success against each of them as five different batters got multiple hits and seven reached base. 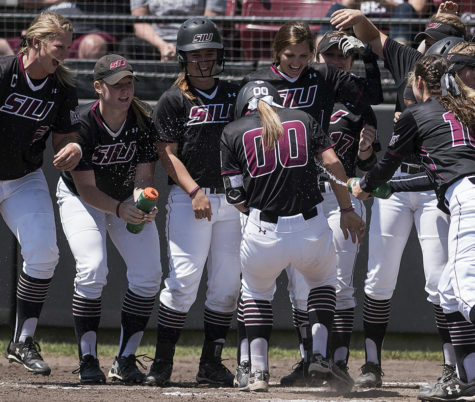 SIU garnered a lead early, scoring three runs in the top of the first inning on one hit. 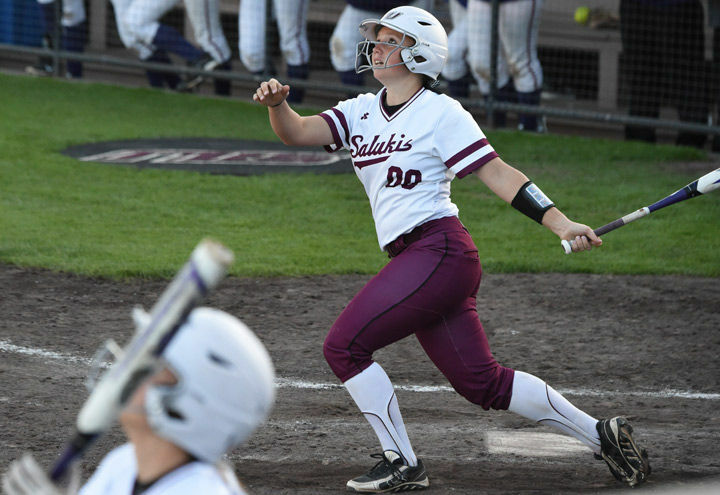 Four different Salukis got a walk and junior catcher Jessa Thomas was hit by a pitch to help the cause. Braves freshman starter Julie Kestas (4-12, 6.73 ERA) took the loss, throwing 2/3 of an inning and allowing the three runs in the first. The one hit was an RBI single by sophomore third baseman Sydney Jones, who rebounded from an 0-6 day Saturday by going 3-4 with two RBIs Sunday. Jones was just part of a 5-6-7 string in the batting order that was on fire Sunday. The trio of freshman outfielder Hanna Porter, Jones and Thomas combined to go 7-10 on the day with four RBIs. 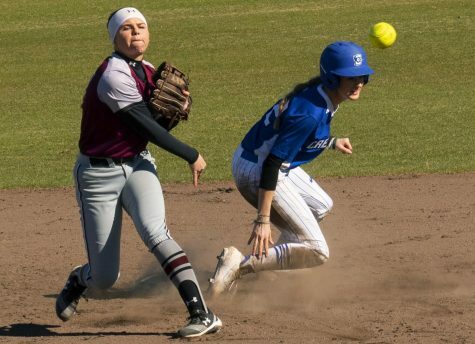 The top of the order was solid as well, as senior shortstop Kelsey Gonzalez and freshman left fielder Eyrika Brandenburg combined to go 5-8 against the Braves’ pitchers. 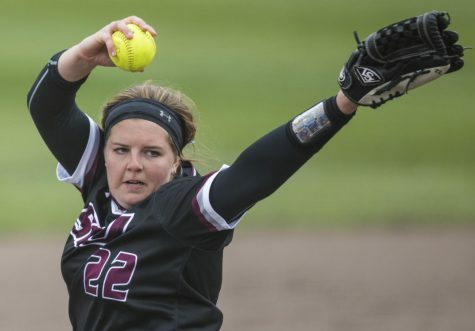 Six runs would be more than enough for Saluki freshman starter Brianna Jones (20-9, 1.91 ERA), who extended her own SIU freshman record, picking up her 20th win this season. 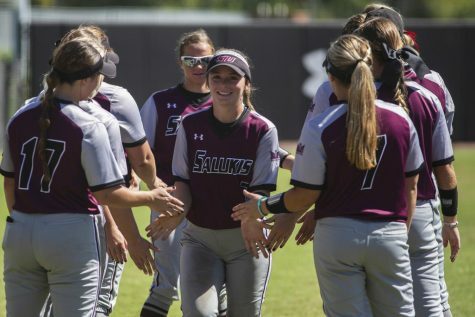 Jones joined former Salukis Danielle Glosson, Amy Harre, Lisa Peterson, Erin Stremsterfer, Jaime Schuttek and Cassidy Scroggins as the only pitchers in SIU history to win 20 games. 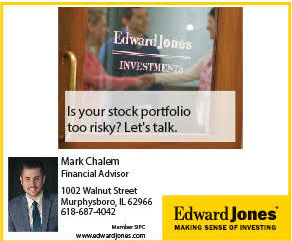 Jones threw another complete game Sunday, surrendering six hits and striking out three to push her total to 132 strikeouts on the year. 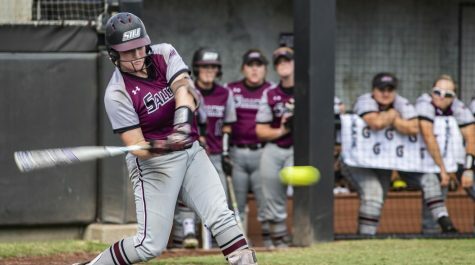 SIU will be back in action 5 p.m. Wednesday to battle Evansville on the road, hoping to avenge a doubleheader loss Tuesday to the Purple Aces in Carbondale.